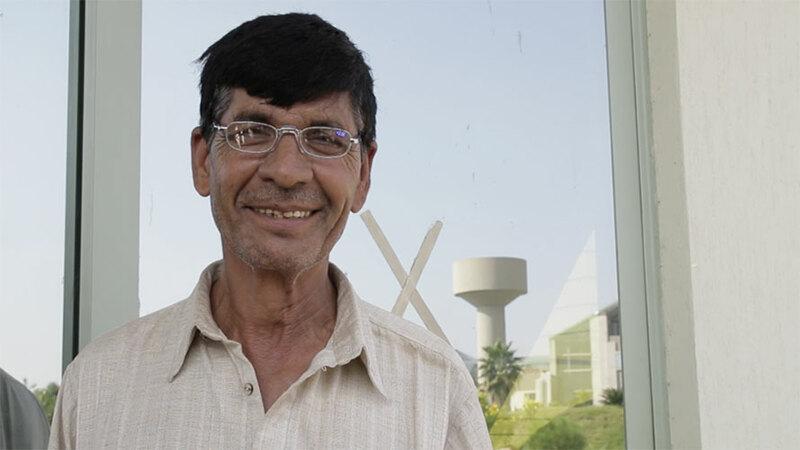 Meet the away team - our workers in Pakistan. Our workers are our pride and joy. Whether they are in our factories or hand-stitching centres in Sialkot in Pakistan, or in Jalandhar in India they are always at the core of what we do. Our co-operative was founded on the principle of ensuring a fair deal, safe working conditions and a better life for these men and women who make our balls. Our aim is to help them secure a brighter future for themselves and their families. There are various stages in the production process and workers can be based in the factories or if they are hand-stitchers, in special rural centres which means they don’t have to travel long distances to work. The beauty of the Fairtrade system is the extra 10% Fairtrade Premium we pay to workers from ball sales. They are organised through a Fairtrade Premium Committee and through this decide amongst themselves what social development projects to invest in. Making balls under Fairtrade terms really does bring a smile to our workers faces. Tanvei is one of our football hand stitchers in Pakistan at a rural stitching centre on the outskirts of the city of Sialkot. Tanvei is a keen football player and supporter. He is delighted to now be making Fairtrade balls as he remembers the days before the factory received Fairtrade Certification. The benefits from the Fairtrade Premium are passed on to his 4 kids, and he’s happy that the whole community can benefit from the safe, clean drinking water provided by in part by the Fairtrade Premium. The “rings” on Tanvei’s fingers are devices to help with the intricate stitching. Ali Walana is an office worker at our factory and took us home to meet his children, young Abu and his big sisters, Amina and Hadia. In this picture they’re showing off the free school backpacks and school books they each receive from the Fairtrade Premium. They have no plans to follow their father into the sports balls industry, Abu wants to be a teacher (though he may change his mind), Hadia wants to be a teacher too, she’s very good at maths. Amina likes science and wants to be a doctor. One of the most important uses the extra 10% Fairtrade Premium paid to the workers through their Committee is the free eye camps where workers, no matter what their position get free eye tests and subsidised glasses. Habib was delighted with his. Perveen is one of the ladies who makes sure that our balls arrive clean and sparkling in the washing stage of the factory process. She enjoys free and safe transport to and from work in special busses, some for men only and some for women only, provided with financial assistance from the Fairtrade Premium. Perveen also likes being able to shop for discounted household products and food in the Fair Price Shop. It’s actually not just workers at the factories and stitching centres who benefit from Fairtrade. Both the factories Bala Sport works with in Sialkot have water purification plants funded in part by the Fairtrade Premium. The beauty of these facilities is that they are outside the factory gates and are there for anyone in the local area to use and fill up a container of free, safe, clean drinking water. We may take safe drinking water on tap for granted, but for the people in Sialkot these facilities are a great help. We like to visit our workers at least once a year. Here’s a short video blog from our recent visit to the factories and stitching centres in Sialkot. To meet our rugby ball workers in India click here.